The Indiana County Tourist Bureau offers membership to businesses, restaurants, non-profit organizations, one-time events and individuals. As your official tourism promotion agency, we will continue our efforts in making Indiana County an outstanding and growing tourist destination. Our mission is to enhance the economic and environmental well-being of our region and our members through the promotion of tourism and comprehensive marketing of Indiana County. This is possible because of the continued yearly support of our community. 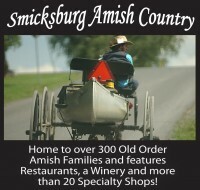 We invite you to become a member of the Indiana County Tourist Bureau and join us in promoting our County. 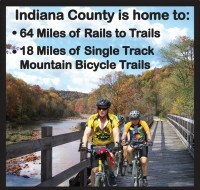 Web Exposure: Your link on Indiana County’s official tourism promotion website, www.VisitIndianaCountyPA.org, also includes a photo and description. ICTB website is linked to the state tourism website, regional sites, other county tourism sites and various social media sites. Event Promotion: Submit events to our online calendar, which provides an opportunity to publicize year-round. This calendar is also the source of our weekly email blast, which reaches over 500 recipients. 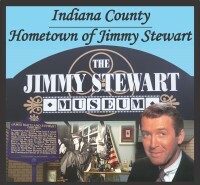 Complimentary Listing in the Official Indiana County Visitor Guide: The guide can be viewed and requested online and includes a distribution of over 100,000 copies. Guides are distributed via: toll-free call requests, countywide brochure racks, distribution services to AAA offices and turnpike locations in PA, WV, MD, and OH, trade & travel shows, fairs & festivals, leads received from national and regional advertising, and ICTB website requests. Industry News & Networking Opportunities: You will receive quarterly newsletters and invitations to Mingles and other networking events. Group Marketing: ICTB participates in various marketing initiatives designed to attract visitors from across the USA and Canada. A Group Tour/Conference Associate exists to create itineraries, packages and special offers to excite groups of all sizes to the area. Distribution of Printed Marketing Collateral: Capitalize on free distribution of your business, organization, or event materials throughout the county. If you have any questions regarding membership, please stop by our office at the Indiana Mall or give us a call. We’re looking forward to promoting you as one of our members!